Everyone has a personal brand. Your personal brand is what people say about you when you leave the room. Do you want to take control of your personal brand? Do you want to have a proactive, purposeful personal brand, not merely an accidental one? A successful personal brand is a definer of career success. Building a compelling and attractive personal brand is what fast-forwards careers. This book will give executives and professionals inspiration, realistic advice and actionable strategies to build a remarkable personal brand that will move them to the next level. YOU(r) BRAND is a career changing book. A make-over for the mind, it will reshape the reader's perceptions of themselves and their situation, reframing their most embedded, engrained self-beliefs into new, positive actionable steps to build a strong personal brand. Written by a well-known executive mentor and motivational speaker, this book distils the author's many years of experience into nuggets of information and practical action. Aware that today's executive is time poor the author makes a virtue of brevity and provides succinct messages with straightforward advice. It begins realistically with the reader's current brand, an assessment of the way others people see them, and then takes them through an eight-step process, from developing self-knowledge to 'working your matrix', designed to build their brand and how best to position it. The reader will have a personal brand strategy when they finish this book. Veronioca's analytical framework is robust but accessible and thoroughly useable. This is a book to be revisited time and time again as you develop your career. 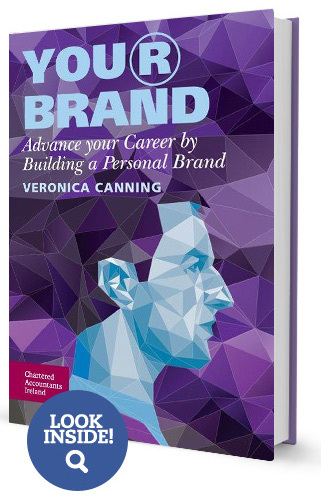 This book provides a concise, intelligent, practical and insightful introduction to why you need to be aware of your personal brand if you are to succeed in building a successful forward moving career.... buy this book and do everything the author says. Genevieve Hughes, Director at Yahoo! Veronica has a transformative effect on those that work with her. She encourages a deep self-knowledge. In this book she shares her insights and reading it creates a path to career success. When you read this book you will move your career up a step while also remembering one important principle in life: your personal brand is not what you say it is; it's what others say about you. Veronica Canning is insightful and pragmatic... a valued and respected support even in the most challenging of circumstances. I am delighted to see Veronica put into words her own creative and thought-provoking views in relation to a subject I know she is passionate about. I really recommend it to anyone who wants to break free of their limitations and move forward significantly in their career. It is a guidebook for taking personal responsibility for your effect on others and for you to achieve success. Buy it. Read it. You be glad you did.